Uttar Pradesh Technical University Lucknow often known as UPTU is the largest technical university in Asia. Near about 800 colleges are affiliated to UPTU and the university every year conducts an Undergraduate entrance exam to offer admission into engineering, pharmacy, architecture and management courses offered by Govt. Aided Institutions and Private Institution affiliated to Uttar Pradesh Technical University. This entrance exam is known as Uttar Pradesh State Entrance Exam (UPSEE). All the technical institutions/ colleges under the UPTU & some UP State also accept the score of UPSEE. 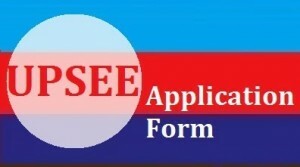 Moreover, UPSEE is open only to the candidates who have passed the qualifying examination from any institution situated in the state of U.P. or if their parents are domicile of U.P. But from next year onwards it is expected that domicile restriction will be removed for admissions to private institutions affiliated to UP Technical University. The main reason behind this change in the domicile requirement is because half of the seats remain vacant. The Admission Committee is of the view that many students from the state of UP take admission in other states so similarly the students from other states should be allowed to pursue their higher education in UP and this would also solve the problem of seats lying vacant in various institutes and colleges. Wards of defence personnel of U.P. either retired (superannuated) or killed / disabled in action Defence personnel posted in U.P. 1) Candidates can claim only one type of horizontal reservation out of the 4 categories mentioned above. 2) Girl candidates have an advantage i.e. they can also claim any one of UPFF/UPAF/UPHC sub category along with UPGL. 3) Candidates claiming vertical and horizontal reservation have to submit the relevant certificates at the time of admission, failing which the candidates will be treated as General Category candidates. 4) The benefits of UPGL subcategory are solely meant for the Female candidates. They belong to Schedule Caste (SC) / Schedule Tribe (ST) and Other Backward Classes of U.P. Defence personnel settled in U.P.